The first time I took part in a project about PCI-DSS Compliance, I was impressed about the importance of Key Management to encrypt and decrypt credit or debit card information into the PCI-DSS Compliance. The Key Management process is important because PCI-DSS requires credit or debit card information is encrypted with a Data Encryption Key (DEK) and this key, DEK, has to be encrypted with a Key Encryption Key (KEK). In addition, DEK and KEK can’t be saved in the same server and they have to be rotated periodically. There are different ways to comply this requirement. AWS KMS is one of them and I’m going to write about it today. 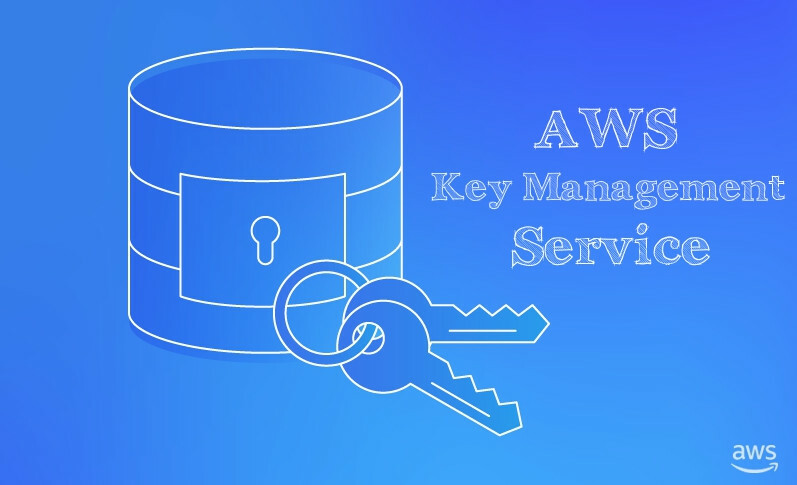 AWS KMS or AWS Key Management Service is a fully managed service which helps us to control encryption keys that we used to encrypt data. This is a service integrated into other AWS services thus it’s useful if we want to protect data of other AWS services. AWS KMS is also integrated into AWS CloudTrail for logging and auditing encryption keys which is mandatory in many standards like PCI-DSS. Thanks to this centralized service, we can save Keys easily as well as configuring automatic key rotation, logging and auditing. 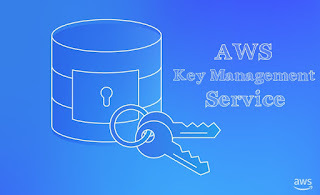 If we want to store encrypted data into the Amazon S3, we can use the Server-Side Encryption with AWS KMS-Managed Keys (SSE-KMS) architecture which uses an envelope key to encrypt each object’s data encryption key and this allow us greater control of who can decrypt data, and provides an audit log of key usage. 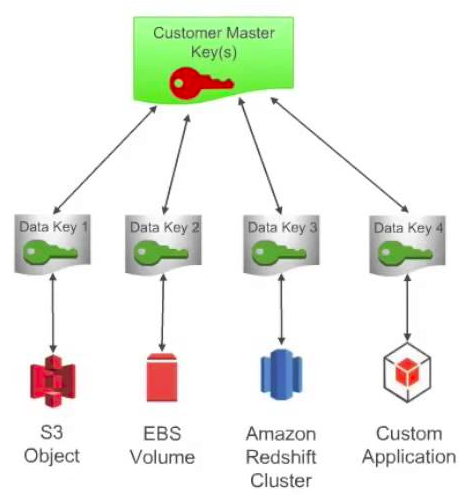 On the other hand, we can use the Server-Side Encryption with Amazon S3-Managed Keys (SSE-S3) architecture where S3 encrypts the object with a unique data encryption key and this data encryption key is itself encrypted with a master key that the S3 service rotates annually. Another architecture is the Server-Side Encryption with Customer-Provided Keys (SSE-C) where we use our own key which is managed by ourself thus S3 never stores this key. All of these previous architectures encrypt data from the Server-Side which means data are encrypted after sending it to Amazon S3 thus AWS always encrypts data. However, if we want to encrypt data before sending it to Amazon S3 we can use the Client-Side Encryption architecture where we encrypt our data and we manage our own keys. There are two options of using Client-Side Encryption. The first option is using an AWS KMS-Managed Customer Master Key (CMK) where we first send a request to AWS KMS for a randomly generated data encryption key that we can use to encrypt our object data. The second option is using a Client-Side Master Key where keys an unencrypted data are never sent to AWS. 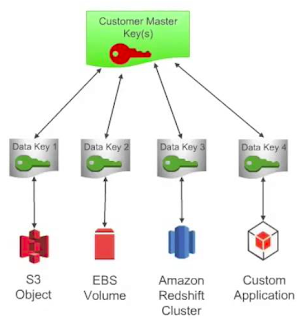 In addition to storing encrypted information into the Amazon S3, AWS KMS is also integrated with other AWS services such as Amazon EBS for encrypting volumes, Amazon Redshift for encrypting data warehouse and Amazon RDS for encrypting databases. What’s more, if we want to use a Hardware Security Module for crypto operations and key storage, we can also used AWS CloudHSM. We can use a Key Management Service for PCI-DSS compliance but we can also use this kind of service when we have to store keys for any other reason like Netflix does who uses AWS CloudHSM for storing passwords.